You Matter. You’re Seen. You’re Loved. God sees us in the shadows of others who seem to be standing more in the spotlight, during the midnight hours meeting deadlines, and in the kitchen making scrambled eggs. God sees all that we do out of our loving hearts as beautiful and precious and worthwhile. The less-visible parts of life aren’t second place; they are sacred space. It’s almost silent in my house this morning. The only noise I hear is the buzz of the fan above my head. It seems no one sees me right now. But God does, and He calls me beloved. He tells me that what I do matters. He reminds me I have a purpose and I don’t have anything to prove. Wherever you are right now, the same is true for you. P.S. 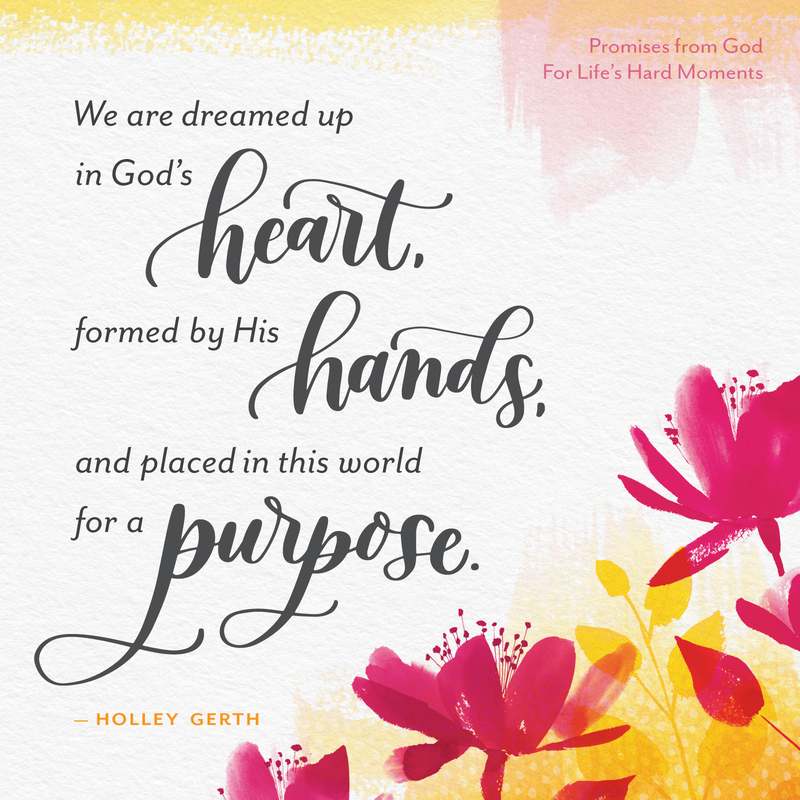 This post is an excerpt from my new gift book Promises from God for Life’s Hard Moments. Get it now from Altar’d State, preorder from Amazon* and find it everywhere books are sold on August 6th. There’s a journal too! This post put a big smile on my face! Thank you! So true, friend. Thank you for this. Refreshing. Thanks for bringing truth about “the God who sees” right here to my dining room table where I am working today in a quiet house. Thank you for your God sanctioned message this morning….feeling VERY unseen, used up, and useless. 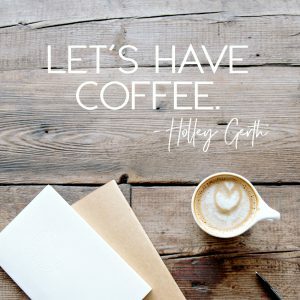 Dearest Holley, I so loved your words “It seems no one sees me right now. But God does, and He calls me beloved. He tells me that what I do matters. He reminds me I have a purpose and I don’t have anything to prove.” Beloved… nothing to prove. Needed to hear that right now. Thank you. Thank you sharing these words. I love how, when we are struggling with something, God wants to use that very struggle to reveal truth to us, then others as well. Your willingness to authentically open up to those around you about your own struggles is a tremendous blessing to all of us. Thank you for your fierce, yet genuinely fragile heart!! Thank you, just what I needed to hear today. Very true – we are all seen by a loving God. Thank you for this. I do feel unseen, unimportant, forgotten right now. God knows. He does see me and I do matter. Blessings. I’ve spent the last 10 years working & caring for aging parents. I quit a full-time job to be more available for my aging dad. There was 16 months of no extra income. Praise God I did have time to be with my dad & help him through his toughest medical issues. It was hard & at times I felt invisible. I know God saw my sacrifice. He finally gave me a good part-time job close to home & my dad. Now both parents are in Heaven & I can help others going through aging parent troubles. . God sees us & our sacrifices. Every job we do whether big or small-raising children, grocery shopping, cleaning the house, cooking meals, etc. is very important to God. He is pleased when we do His will especially in the smallest of jobs & details. Thanks Holley for bringing us truth. “He tells me that what I do matters.” AMEN, Holley! Thank you for the shot of expresso for my spirit! Thank you. I needed this. It has been a hard week.